The St. John the Evangelist Prayer Ministry is the spiritual first responder for our church's prayer request hotline. The goal is to offer powerful prayer support to parish family and friends while protecting the privacy and dignity of each person in need. The representative from the Funeral Ministry meets with the family as soon as feasible to coordinate arrangements for the funeral or memorial Mass. The family is assisted in the selection of readings and music according to church guidelines. With the assistance of the office staff, a printed program is prepared for distribution at the service. All facets of the service are coordinated with the funeral director, and the plans are presented to the presiding priest. This ministry provides a safe, confidential outlet for the bereaved to express their feelings among non-judgmental individuals in a compassionate environment. Material from the National Catholic Council for the Bereaved, Hospice, and other organizations is provided. 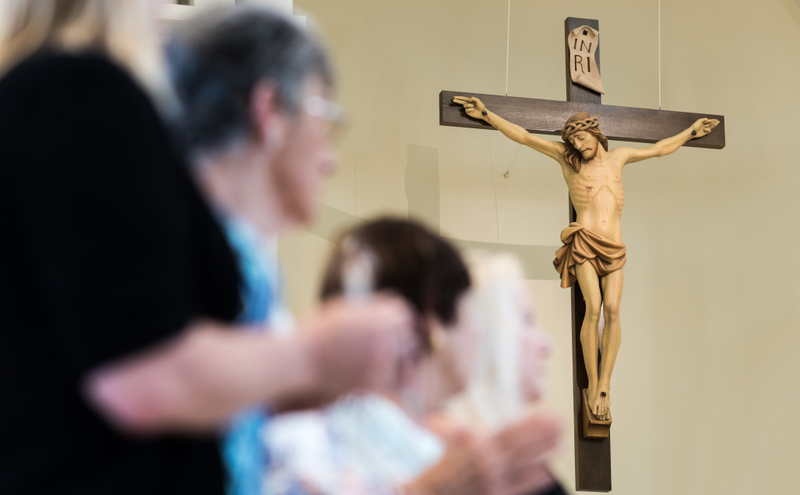 Ministry to the Sick is a pastoral ministry of lay men and women, deacons, and religious sisters who care for Catholics hospitalized, in nursing homes, or confined to private homes. They conduct pastoral visits to listen and pray with the sick or shut-in person and to share Eucharist with them in accordance with the ritual prayers of the Church.